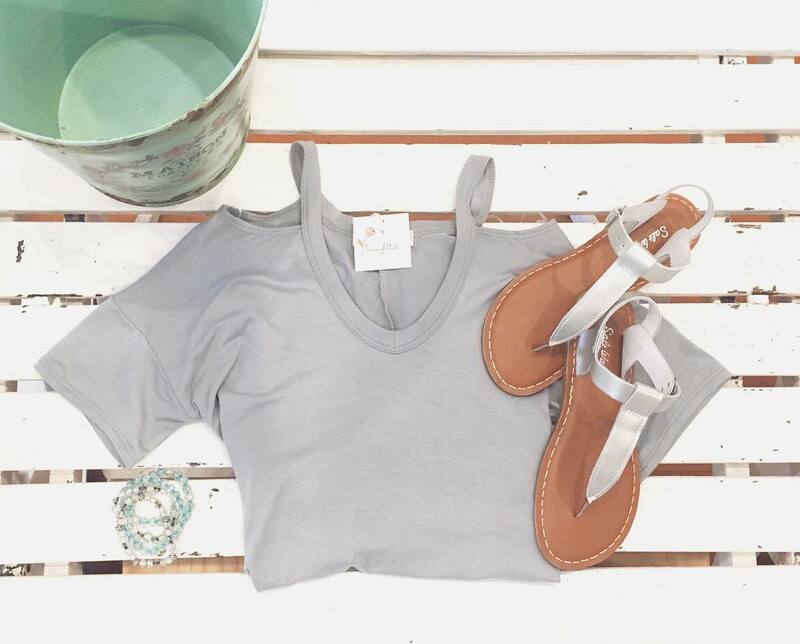 This ultra soft cold-shoulder tee is perfect for warm summer days! This tee is very generous in sizing as there's lots of flowy fabric. I would recommend sizing down. 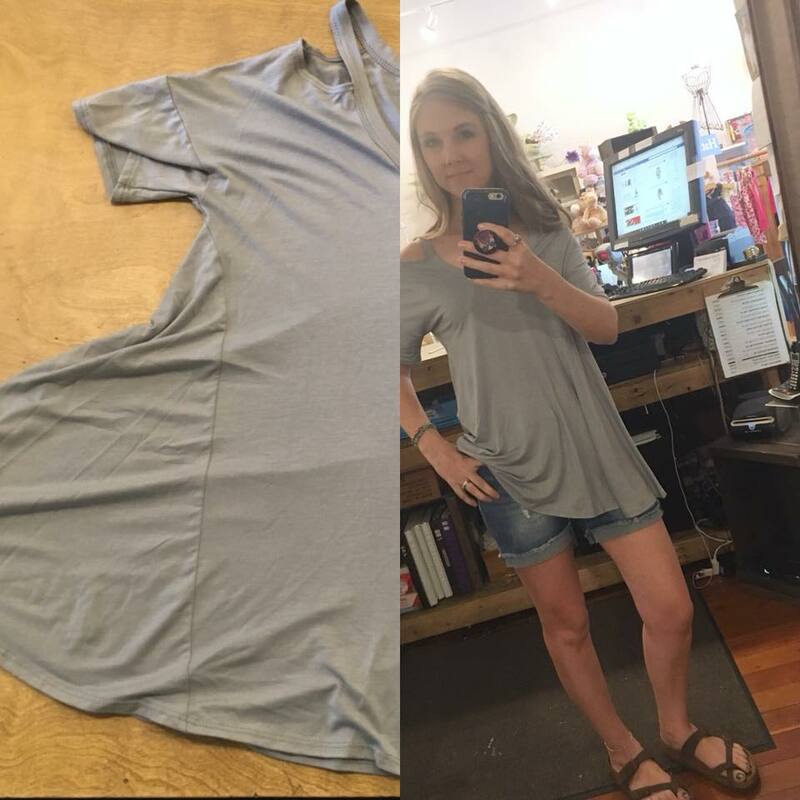 I am modeling a size small and it was very large on me. Made in the USA; 95% rayon/5% spandex.